The riyal lost half of its value against the dollar in just four months, surpassing the 50,000 mark for the first time in March. The government sought to fix the price at 42,000 in April and threatened to pursue black market traders. But the trade has continued amid the Iranians’ concern about the continued difficulties of the economy, and turned their currency to the dollar as a safe way to keep their savings, or as an investment if the riyal continues to fall. While banks generally refuse to sell the dollar at a low price, the government was forced to soften its position in June and allow greater flexibility for some categories of importers. The way to deal with the monetary crisis was one of the reasons that prompted President Hassan Rowhani to appoint a new governor of the Central Bank of the place of the Crown Prince. 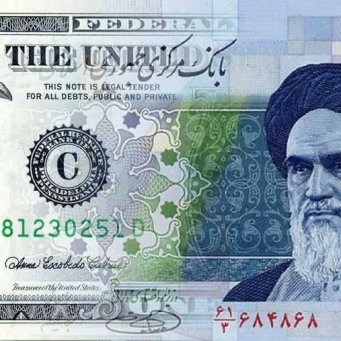 One of the reasons for the currency’s decline was the announcement by the United States in May of its withdrawal from the nuclear deal signed with Iran in 2015, which lifted a set of sanctions in return for curbing Iran’s nuclear program. The United States is preparing to re-impose its full sanctions on two payments on August 6 and November 4, forcing many foreign companies to suspend their activities with Iran.